So it seems that MMSD isn’t fond of WordPress so I am officially switching my WordPress blog over to this BlogSpot format. Everything remains except the web address!! To view old posts from 2009-2014, read old posts here but for future posts, read the new BlogSpot blog! 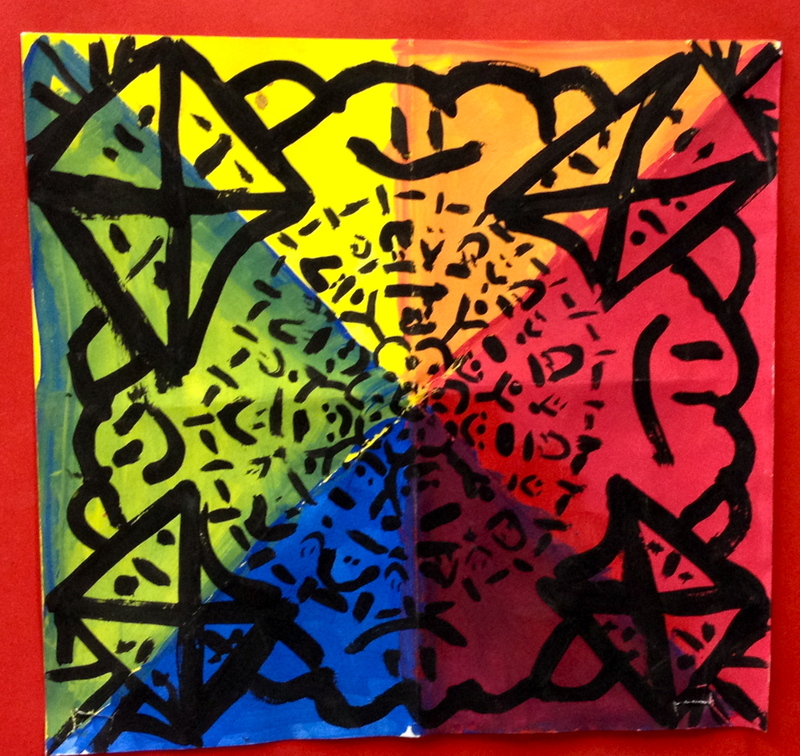 I like to end the school year with something that gives kids a little freedom but also gives them enough structure that they are focused and busy during our last classes. Andy Goldworthy is the perfect inspiration for this type of project. 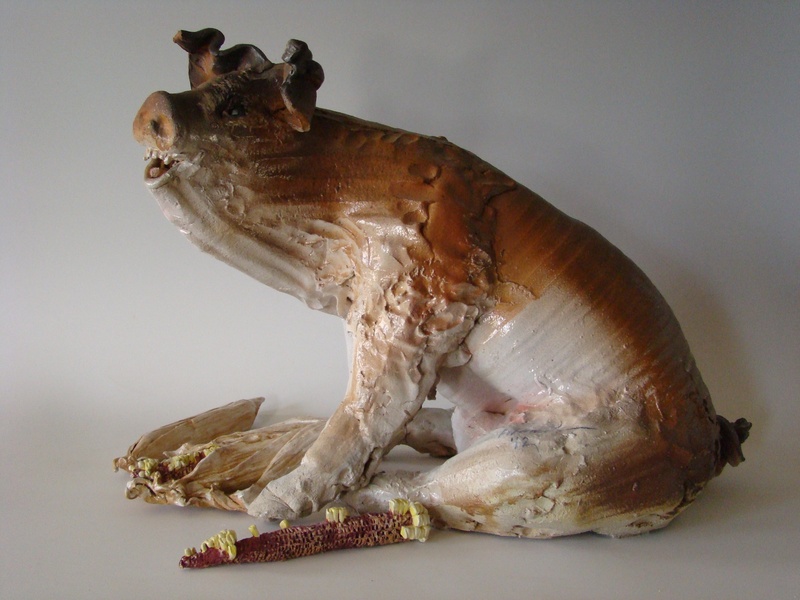 He is a naturalist artist who uses only things he finds from nature in his sculptures and then after he is done, lets nature do what it will with the artwork. The kids find him fascinating. How does he do it? What is he using now? How is that balanced? How is that connected? Click here to watch some of the videos we watched in class so we could watch him work. Today was only Day 1 of our Goldworthy projects. We will continue this for the rest of this week and next week. Here are some pictures from today! I really just show them some of his work and tell them to go make art. They have so many stories to go with each sculpture! I believe the kids don’t ever get enough outside time or imaginative play time. This kills two birds with one stone, has them working together AND creating art. It can’t get much better! 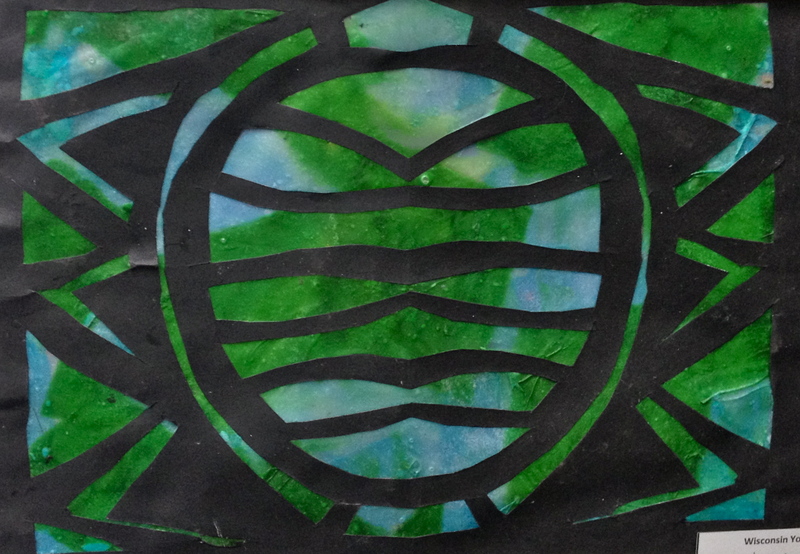 This project has become a favorite 3rd grade project for both myself as the teacher and my students. I love this project because I am able to hit on all of our ceramic standards easily, I am teaching about a local artist and the mugs always turn out amazing. The kids love it because it’s clay and they love animals! 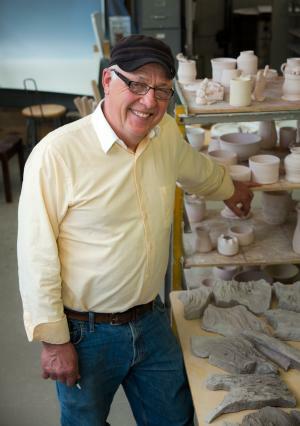 Bruce was a ceramics professor at the University of Madison Wisconsin from 1994 to 2005 and he is currently at the University of Platteville. Bruce has been a sculptor since 1976. 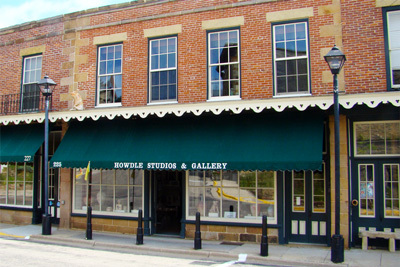 He has a studio in Mineral Point and he is almost always around to talk about and sell his artwork. 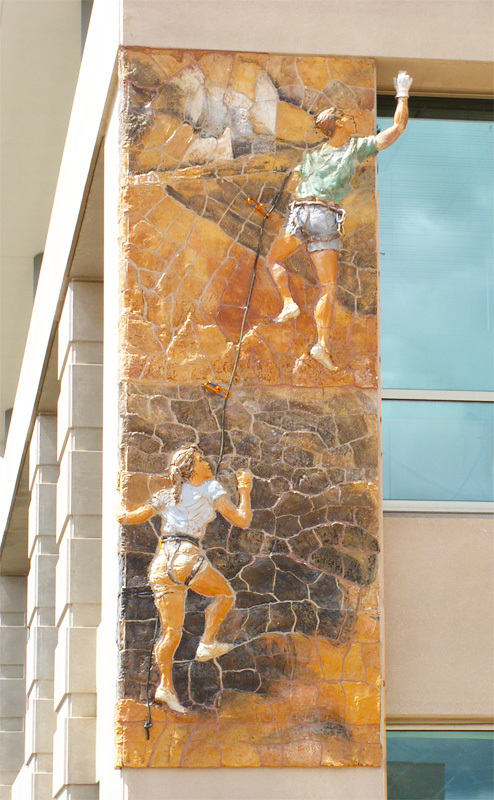 You may recognize some of Bruce’s ceramic murals around town like this mural of mountain climbers. You can find it on the way west side off of Mineral Point on the TDS Metrocom building. Or this mural at the University Hospital Clinic in Madison. Really, you can find his murals all over the country! Randall Raccoons know Bruce’s work more for his animal work than his murals. Bruce is famous for his pigs. Each part is thrown on the wheel and then hand put together. But the kids really love his animal mugs! Ask your student how they came up with the idea for their own animal mug. 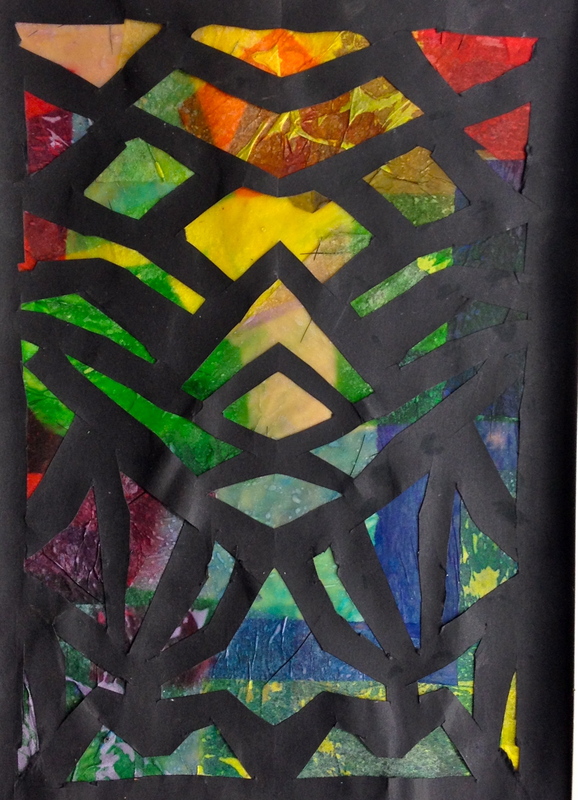 What textures and colors did your child use? What details on their mug help you to know what animal it is? Why did they choose that animal? 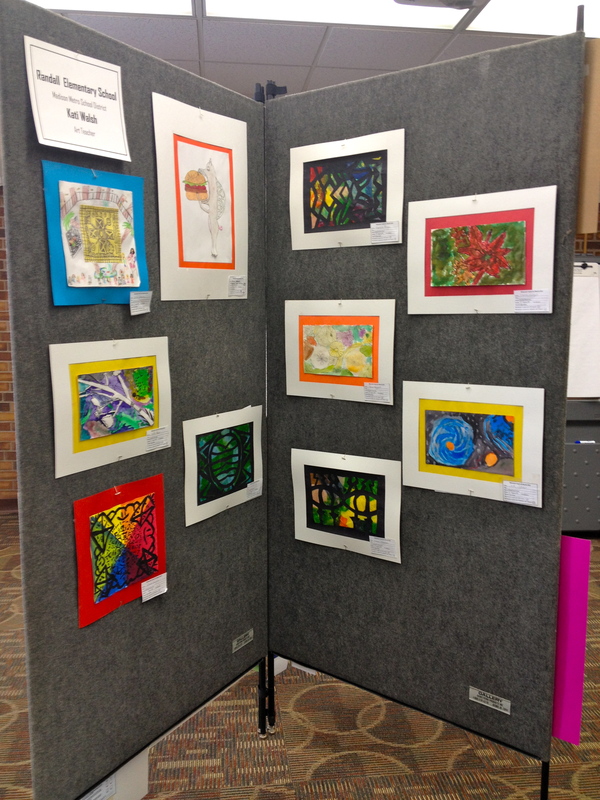 The Wisconsin Art Education Association Youth Art Month Southwest Art Show is up!! Hours: Monday – Friday, 8 a.m. – 4:00 p.m. Closing Reception: Informal, Saturday, February 22, anytime from 12:00 – 2:00 p.m. This year Madison has THREE schools participating: Blackhawk Middle School, Crestwood Elementary and Randall Elementary. Congrats to our ten Randall participants! I make it a point to head to my art education professional conference every year. It is the one time a year where I receive professional development that is tailored toward me, as an art educator. It is also the one time a year I can hear from my art education colleagues state-wide. I hear many different amazing things going on in classrooms all over Wisconsin as well as connecting with art teachers all over Wisconsin. Here are the top three take-ways that I got from the conference this year! The keynote on Thursday shared a way to create a paintbrush for our students that can’t grip normal paintbrushes. First, take a rectangle made from shelf liner or several types of foam and cut fringes in one of the long sides. Then roll it up and put a rubber band on it. Pill bottles are a good option to finish off the handle. If it is slippery, add a rubber band to enhance the grip. More ideas here. I’m not one to promote products but I have to say, I’m excited about the idea of these solid tempera paint sticks. I have a student in a wheelchair with a tray who has limited mobility. Dipping a paintbrush in water means having the water on the tray. 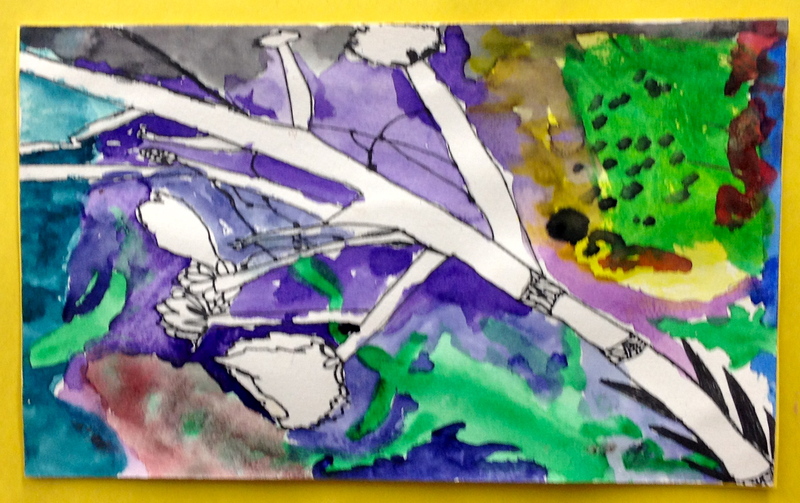 For this student, sticks without the water may be a really great option for her! Jessica Balsley of Art of Education was our Friday keynote. She spoke on many subjects but one of her points stood out to me, create an advocacy calender. Art teachers are very busy people. But the idea is, for example, in September you focus on the students creating art advocacy projects and then maybe in October you present at a PTO meeting and every December you write a letter with a good research article to your school board etc. You do one act a month focused on one group. A wonderful way to plan out your advocacy in a way that isn’t so overwhelming! 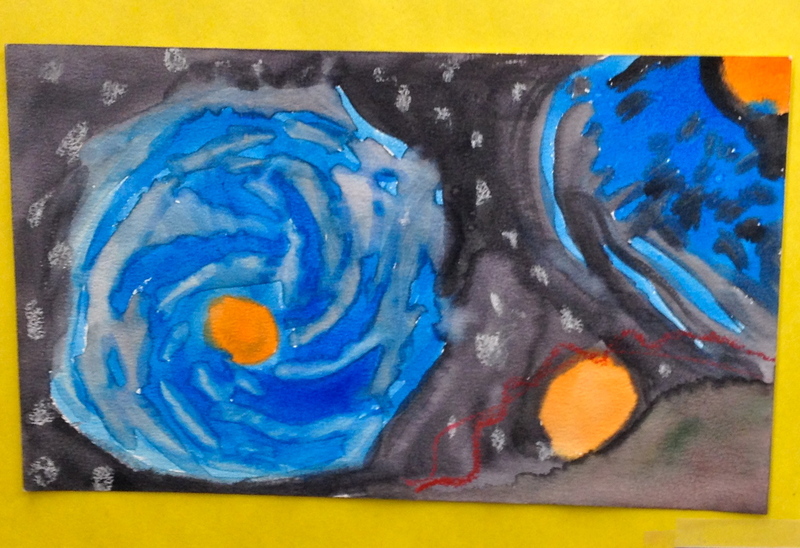 Another one from Jessica Balsley, this one was presented during her Autism and Art break out session. I’ve now worked at four different MMSD schools in my five years in Madison. I’ve worked with some AMAZING SEAs and some where I really wish things had gone differently. Each experience was a learning experience. But what I should have done, is have a welcome letter ready for SEAs when they come to my classroom. It comes from remembering that as the art teacher, I am the expert on art education in my classroom and I need to vocalize that. 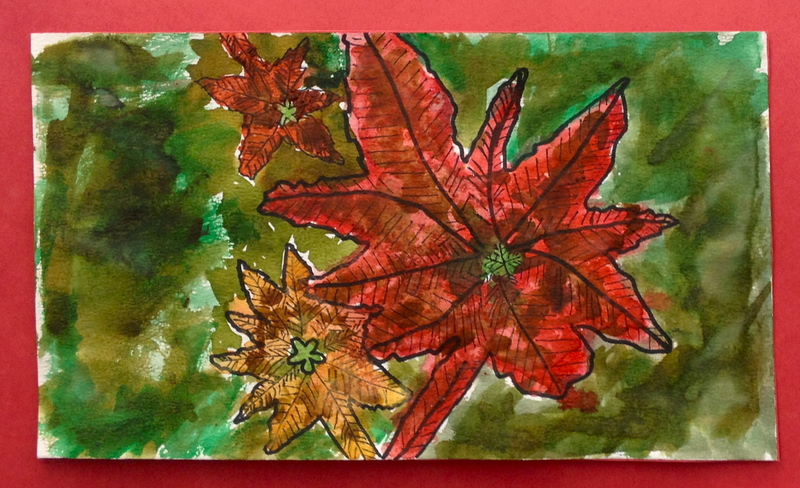 I need to let my SEAs know that it is not OK to DO the project for the child no matter what, it is not OK to create your own project unless it is part of the plan for that child that they need to follow along step-by-step with the adult next to them and they are expected to come to art with that child every single time. Creating a welcome letter means we are both on the same page from the beginning! – Nip it in the bud immediately, say something right away! I’ve had situations where I don’t know how to tell my SEA colleague my expectations in a professional way without feeling like I’m being disrespectful to the SEA. I don’t want my SEA to feel like I am not treating them as a professional. SEAs are our invisible heroes. They do SO MUCH and and deal with situations that would be beyond the wildest thoughts of any administrator. But I also need to remember that part of treating my SEA as a professional is saying something right away instead of letting something fester. I presented for the first time ever at the conference. Yikes! But I think it went well. I had two co-presenters and we talked about advocacy in art. I talked about how to testify for your program and who to testify to. I also talked about framing your message in your testimony and in your emails/letters. My other co-presenters did a great job sharing research to back up your message and talking about how to create a rational. Check out our presentation here. All in all, it was a great conference! I learned much more than is in this post but I thought I’d edit it down to three. I’m so grateful that Superintendent Cheatham made the decision to allow art and music teachers to go to their professional conferences. It is so valuable when we, as professionals, feel we are getting professional development that is relevant to us! But I can’t end the post without congratulating our MMSD Arts Coordinator, Laurie Fellenz, on winning the Distinguished Service Award from WAEA. Distinguished Service Award is awarded to an individual outside the profession for outstanding achievement and contributions to art education on the local, state and/or national levels. We are so proud of her. Way to go. Laurie! Special thanks to art teacher Julie Olsen for taking the time to nominate her! Sometimes parents ask me why more art doesn’t go home. Here are all the possible reasons I can think of why! 10. It didn’t get finished. We have 60 minutes, once a week. Actually, we have less than that because of field trips and things. Sometimes students just need more time then I can give them and their work sits in their portfolios, unfinished. I try to send their unfinished work home with art supplies for kids to finish. Or provide lunch times, recess times, after school times to finish. I try modifying lessons for individuals so they have a finished product they are proud of. But sometimes, the art just sits in their portfolio.. unfinished. 9. The artist threw their own work away. It breaks my heart, but it happens. Every child is not going to be proud of everything they create. I mean, as adults, we aren’t always proud of end products of projects we do either. But you have to know, sometimes the process is just more important than the product. Whether or no your child is proud of what they made, you must know that it was still a learning experience. 8. It was just a REALLY long project. 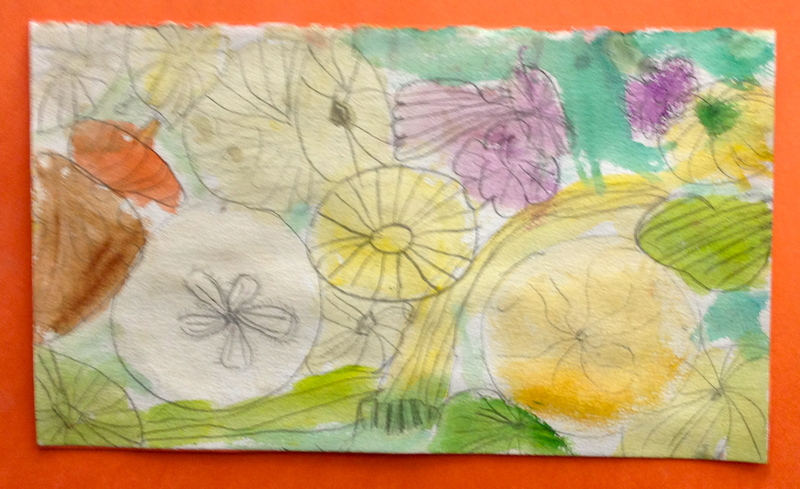 I don’t do what art teachers call “make and takes” where they make sometime and then take it home the same day. Many of our projects are 2-5 weeks long! Considering how many art classes we have a week, that means we usually do 5-6 major projects a year. Sometimes, your child might do a make and take for a substitute teacher or at the very end of the year or right before winter break. The majority of our projects are very involved and take time. 7. I display their art and it takes awhile to make it home. So after that couple weeks of working on the project, then I hang it up for a month or two as well. 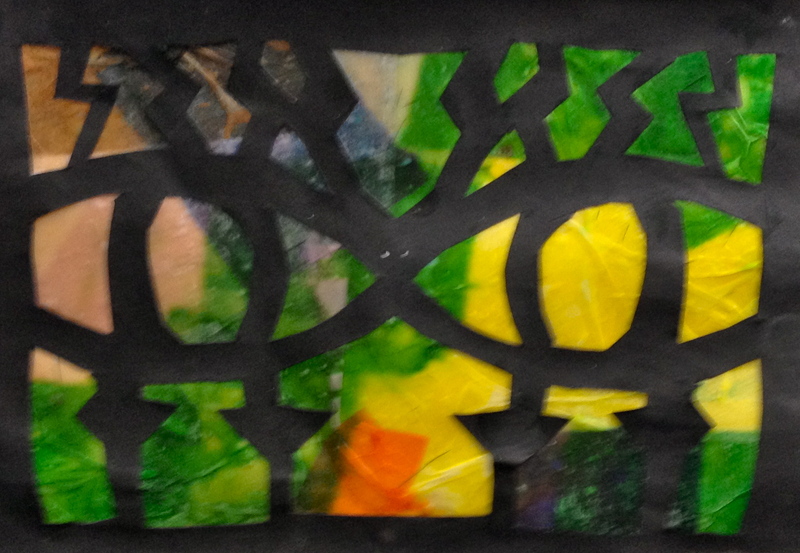 I think it is important for kids to see their work up and be proud of it. 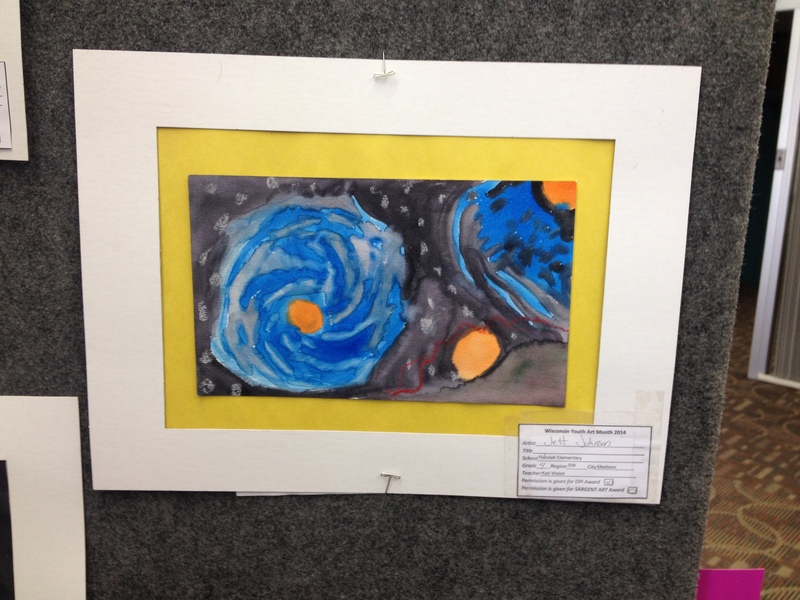 And sometimes, their work isn’t just hung in the hallway, it’s in the community somewhere. 6. It was a collaborative project. If it is a group project, every child isn’t always going to have a chance to take it home. However, you can still see their work right here on the blog. 5. It was a project that just wasn’t about a product. Sometimes, I do a lesson that just isn’t about a finished product. 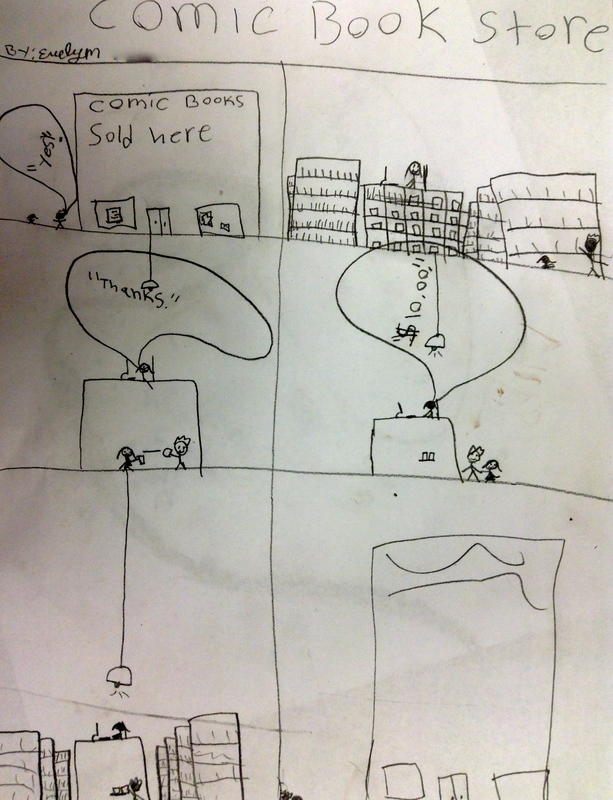 For example, last year I did a media unit with the 5th graders. 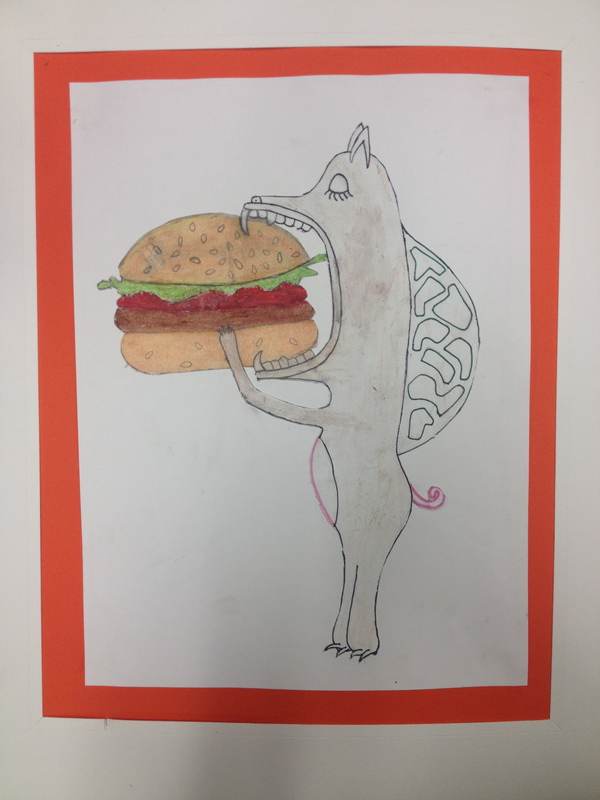 We studied different types of ads and created our own drawing ads but students spent more time on the studying then the creating. I don’t do more this often but I do think that actually studying our current media is important. It is part of my Wisconsin Art Standards I follow and the new Common Core that will be mandatory to follow in the next two years. When students don’t spend a lot of time on a project, it isn’t something they care to keep and take home to show off. 4. It got lost or stolen and it was not the artist’s fault. This RARELY happens. It has only happened one or twice in my four years at Randall but it does happen. I try to foster a respect for each others’ work so no one touches much less steals someone else’s artwork. To make matters worse, when it does happen, it is usually a clay project that is the artist’s favorite project from the entire school year. 3. The artist doesn’t put his or her artwork back in their portfolio. I have a simple and organized system to keep track of the hundreds of students’ work. Each student has a portfolio. Each portfolio is kept in a folder labeled with the name of the teacher and the table in which they sit. Then each table folder is kept in a class shelf. If a piece of artwork falls out of a portfolio and they have their name and class code on it, it’s very simple to save and put where it belongs! If they do not have their name and class code, it goes on the no name wall. Often, it isn’t that it fell out of the portfolio, it’s that the student never put their work in their portfolio and just left it on the table. When I have back to back classes, this is a sure way that the artwork will be lost or thrown away. 2. It’s in the bottom of a locker. Even if they have their name on it, it wasn’t thrown away or lost or stolen, they are really proud of their work.. it gets stuck on the land of the bottom of a locker. 1. There was no name! I try my very, very best to remind all classes every time to put their name and class code on their work. EVERY TIME. I say it many, many times during each class. Sometimes, usually it’s the same kids over and over, they just don’t put their name and class code on their work. Eventually, this work ends up lost or on the no name wall. Even if it ends up on the no name wall, it isn’t often claimed and gets thrown out at the end of the year. I have hundreds of students. I have a system to keep track of their work as best as I can but if they don’t do their part, the system doesn’t work. It’s no secret that Madison is a pretty political place. Today, students were engaged in our Garden Signs project when an interesting conversation happened. One student said something to the effect of ‘Scott Walker wants to close all the public schools.” I have no idea where this came from, I missed the beginning of their exchange. Another student, who’s father is a reporter, proceeded to correct the student with a surprisingly very factual and grown up answer. 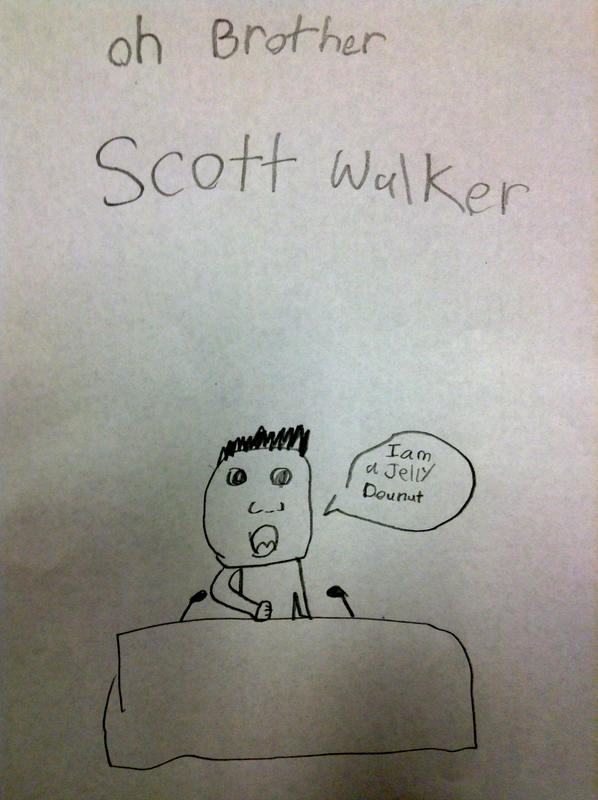 This began a whole conversation between kindergartners, first graders and second graders about our Wisconsin Governor, Scott Walker. 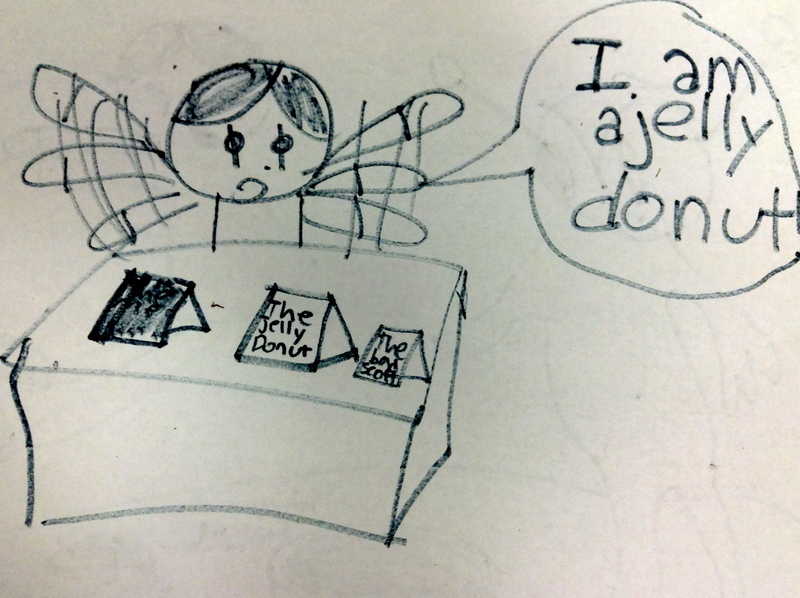 One of the students was already using some free drawing time to draw some cartoons on her own. So the rest of the class started drawing their own cartoons and they turned very political. They have very strong feelings about Scott Walker. The cartoons started getting a little inappropriate so at this point, we stopped drawing and discussed what a political cartoon was. We also talked about how you can disagree with someone and not wish them harm. 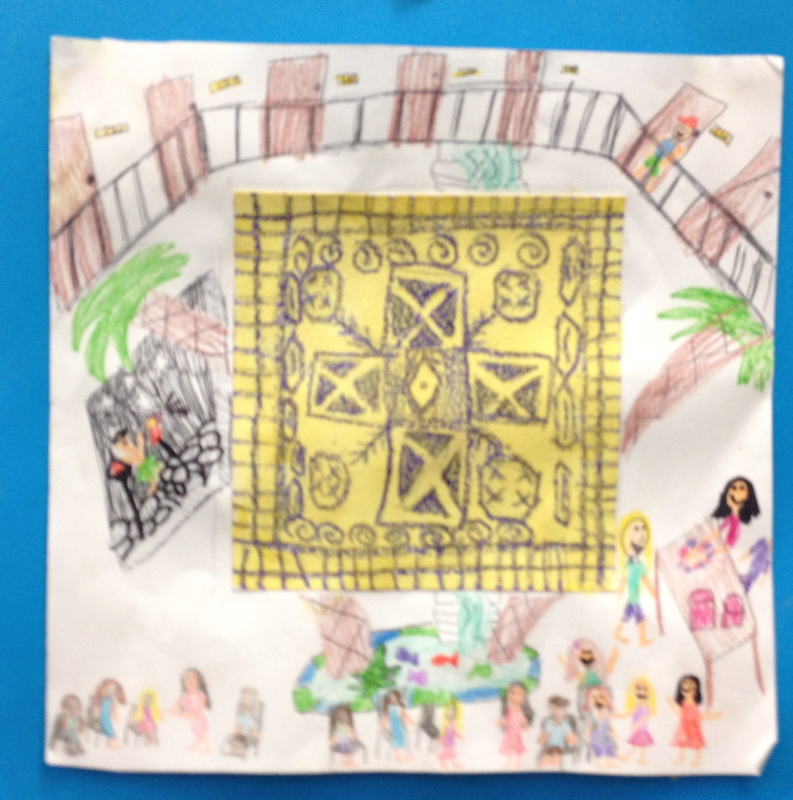 It was also important for them to understand the role art plays in sharing one’s opinion and ideas! Wow, I did not plan for THIS intense lesson with kinders through 2nd graders! Love the creativity and the thought process in these. *Disclaimer: For you those of you who don’t know me very well, I just want to make it clear that I did not talk about MY personal opinion of Scott Walker with these kids. I made it clear that it is important for everyone to feel comfortable expressing their own opinions through art. I did clearly state that I love our public schools and think it’s important for them to have a good public education. This should not be a controversial statement.